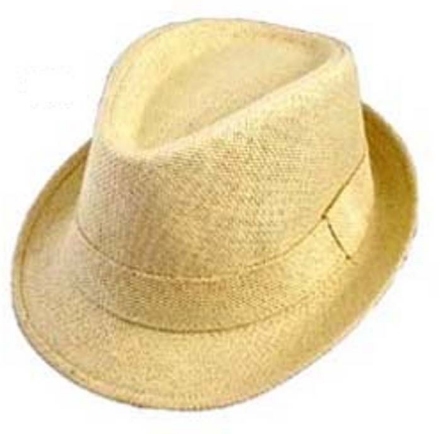 An all seasons light and airy polyester/cotton fiber fedora in acorn husk beige. The material is nubby like tightly compressed straw. Nice sporty fedora for occasion or casual wear. Hat circumference size 54 cm (21.25") fits ages 4 - 8 years approximately. Spot clean. Import.